Inspired eating, for any occasion. ; A Note from Nancy I believe everyday eating should be exceptional. That's why I've paired distinct ingredients to create robust flavor combinations(em)so you can enjoy this French inspired delicacy any time of day. 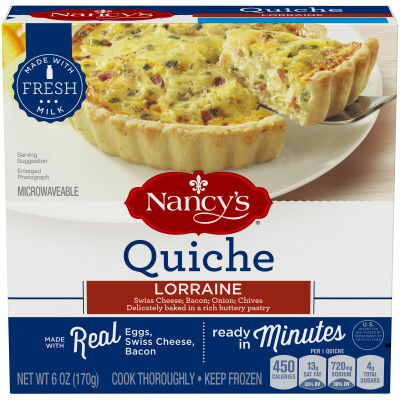 Serving size 1 Quiche (170 g).